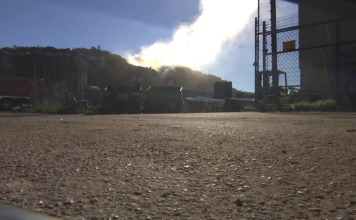 Neighbors are frustrated after spending a week of dealing with heavy smoke from a mulch fire near their homes. A fire sparked five days ago at a horticulture and recycling site. Kendyl Sasser says she doesn’t know who is responsible, but she is tired of the smoke and just wants the pile of burning debris gone. “Ashes all over the cars all over the yard. It smells like a campfire everywhere and my husband goes to work smelling like a campfire can’t get rid of it,” she said. 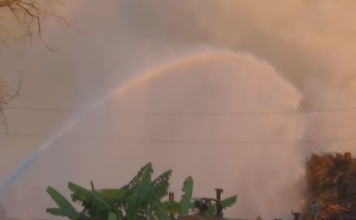 WINK News reached out to Lee County and the MW Horticulture and Recycling site about the fire. Vice President Denise Houghtaling says it all began with accepting Irma debris that is now burning on their property. “You may have put it in your pick up truck and brought it here you may have hired a tree company and brought it here,” she said. Houghtaling says they’ve been asking the county if they could grind up debris onsite, but Lee County says the company is not allowed to make that much noise near homes. “Zoning, zoning, zoning is the issue of why they want to put all these families lives and structures and homes in jeopardy… because of a zoning issue,” she said. Houghtaling claims the county’s demand to move the huge piles caused the fire to start. “Debris’s been here so long we knew that if we started hauling out — oxygen would get into the pile and that’s when a fire would occur,” she said. According to the county, it is a possible violation of fire code, one that they have constantly reminded the company about. For those living in the smoke, they just hope the dispute is resolved soon. Now the county is preparing a code enforcement case and there will be a hearing next week.